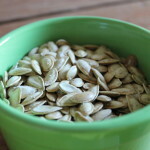 What a perfect way to “lighten up” a heavy dish. 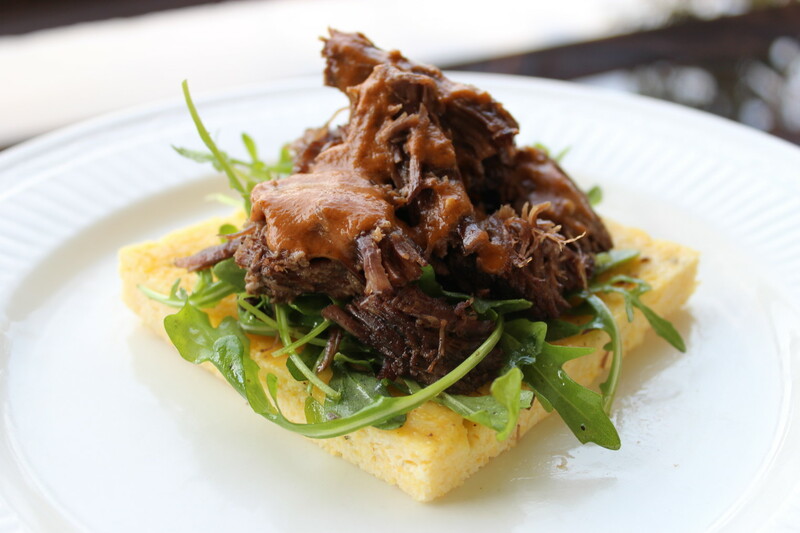 Combing the short ribs with an Arugula salad and a light and fluffy polenta cake is just the way to go. 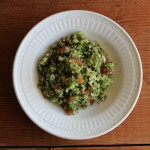 This is a small dish but packs the perfect punch. 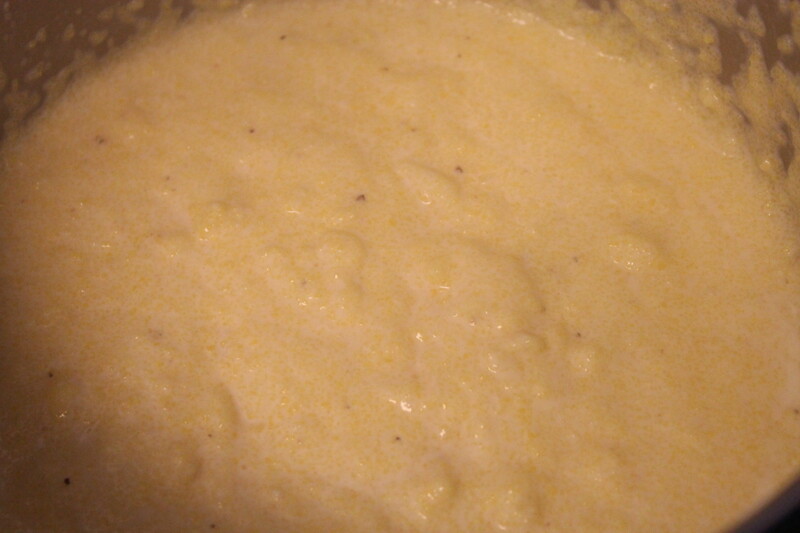 In a pot, combine the cream, water and salt. 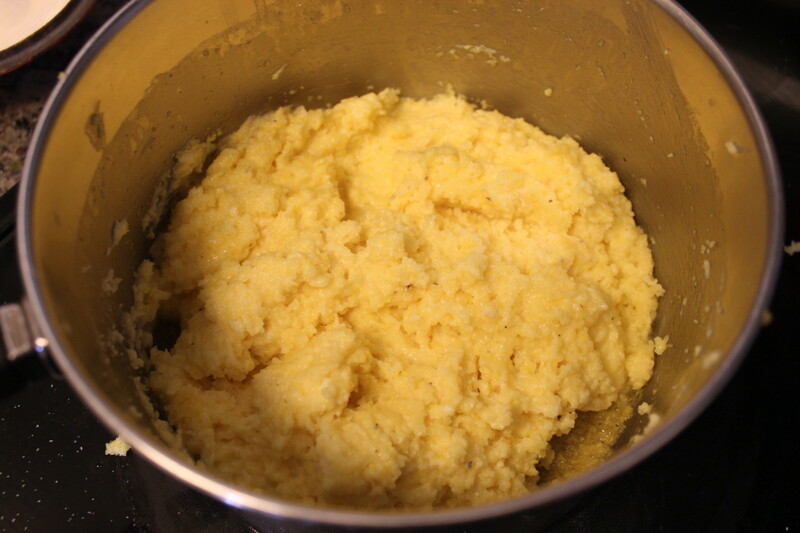 Bring to the point of simmer (do not boil) and add in the cornmeal and give it a good stir. Turn the heat to LOW and cover the pot. 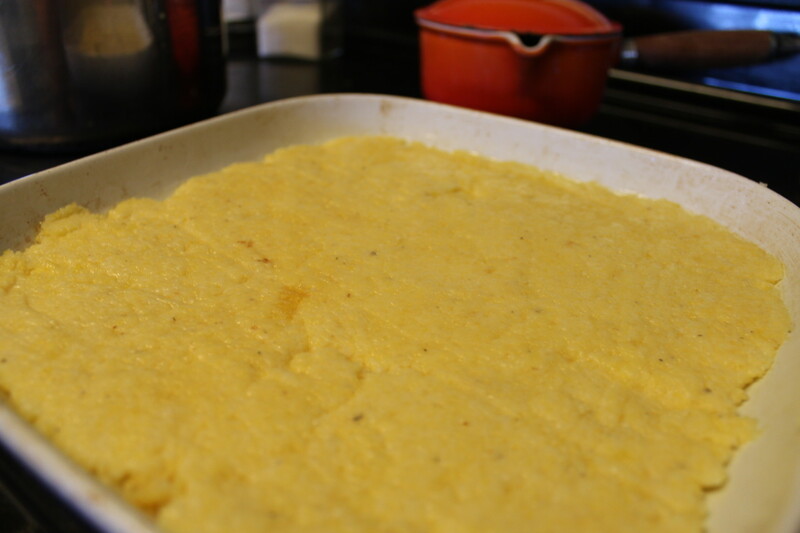 Give it about 5 minutes and stir the polenta. It will accumulate at the bottom and will have a tendency to burn if you skip the this step. 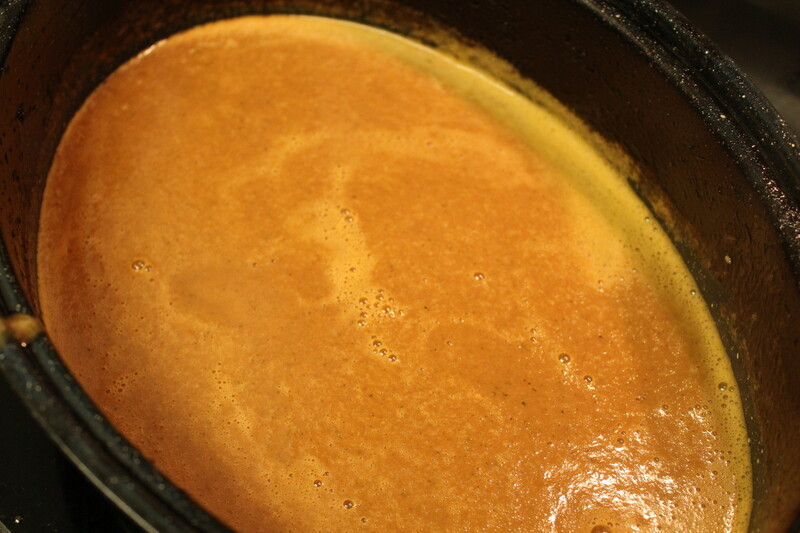 Cover and continue cooking for about 15-20 minutes, stirring occasionally, until all of the liquid is absorbed. Spray a ceramic or glass dish with non-stick cooking spray and transfer polenta to the dish. Even out the mixture so it is even all the way across. 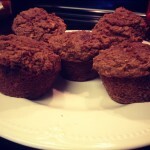 Cover and refrigerate, up to 24 hours in advance. Remove from fridge when ready for service. 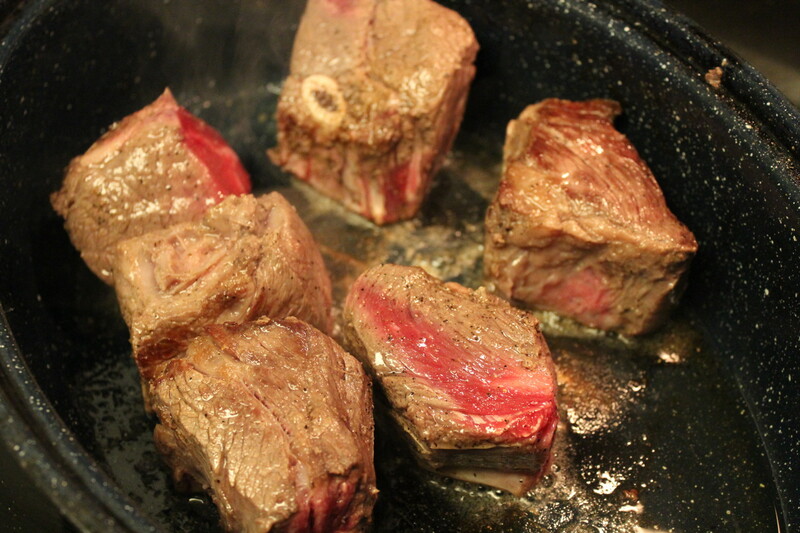 In a roasting pan, add in the olive oil and heat, adding in the short ribs. 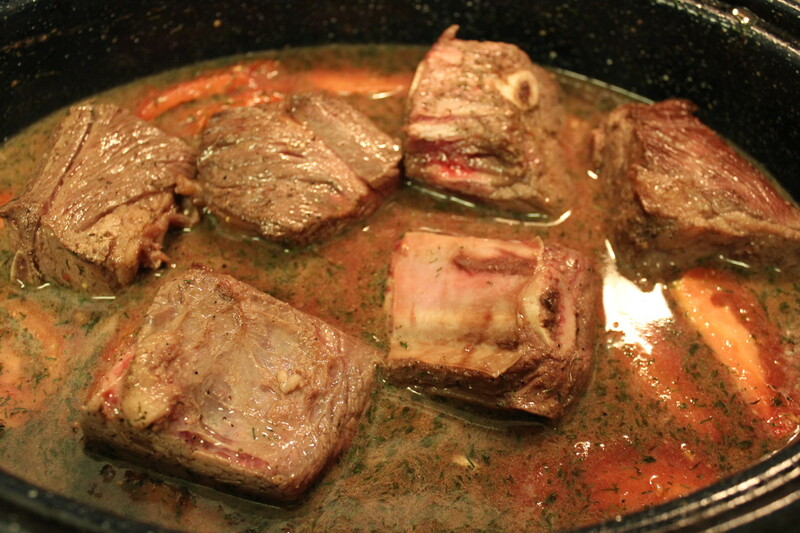 Sear off the ribs on all sides and remove the ribs from the pan. 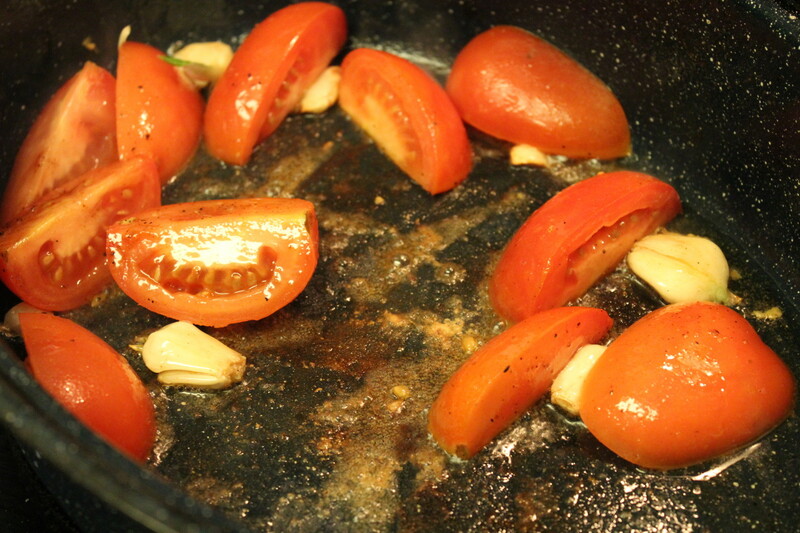 Add the garlic and tomatoes to the pan, roasting them for a few minutes. 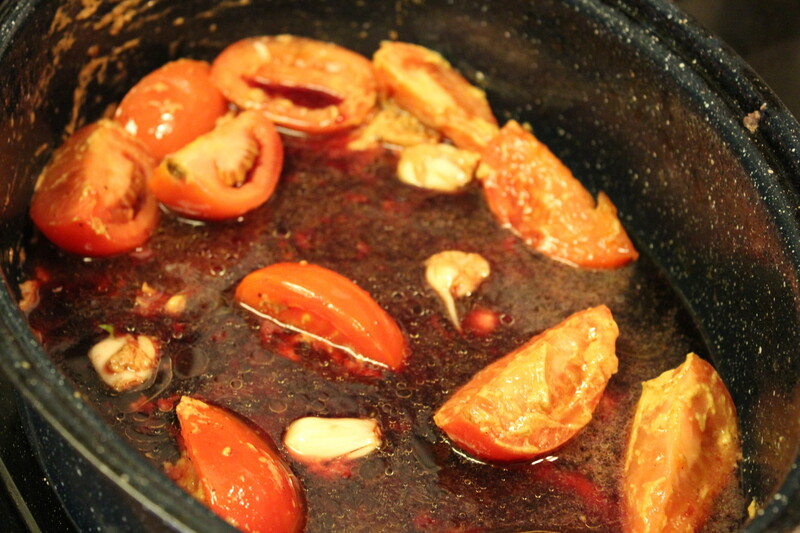 Add in the tomato paste, mustard, wine, vegetable stock, dill and onion powder. 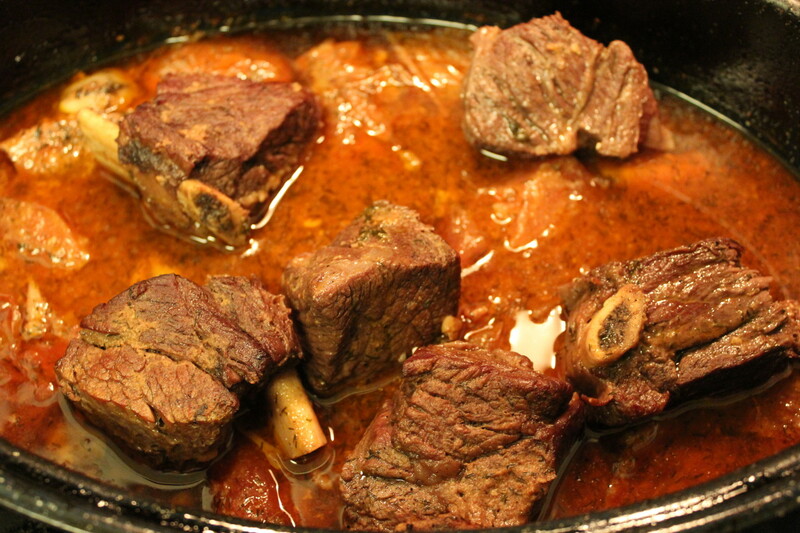 Bring to a simmer and add in the short ribs. Transfer the covered pan into the oven. 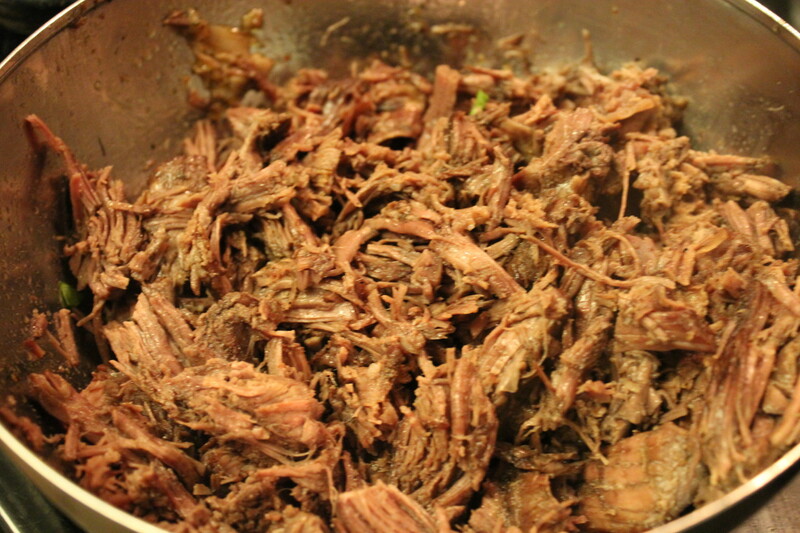 Cook for 2 1/2 hours, until meat is tender and falls apart at the touch. 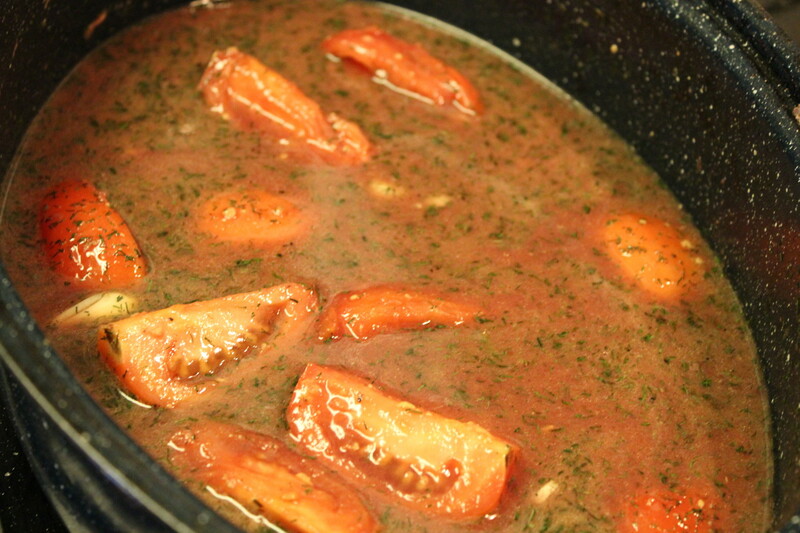 Remove the ribs from the pan, into a large bowl. Remove the bones and shred the meat. 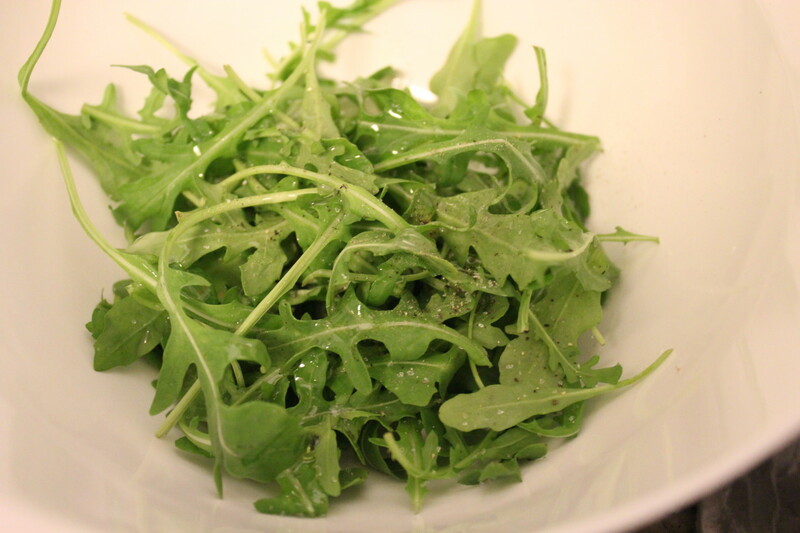 In a small bowl, combine the Arugula, salt and pepper with the olive oil. 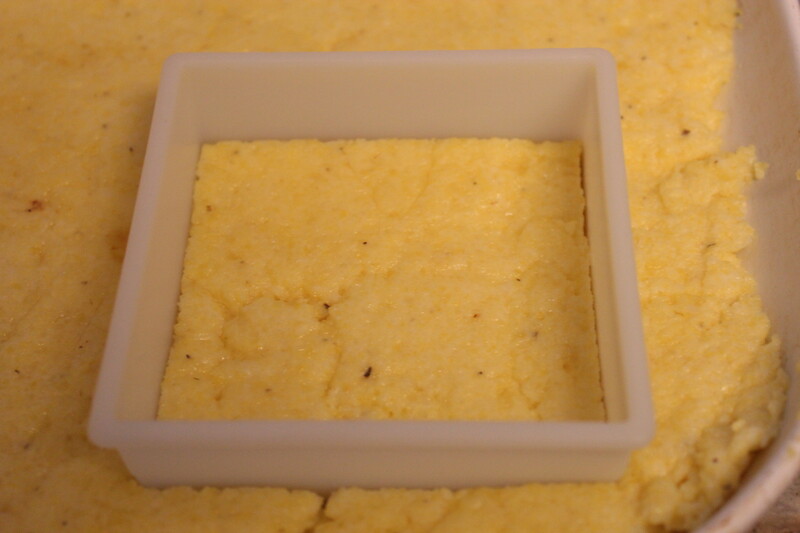 Using your favorite cutter, cut desired shape of the polenta and transfer to plate. 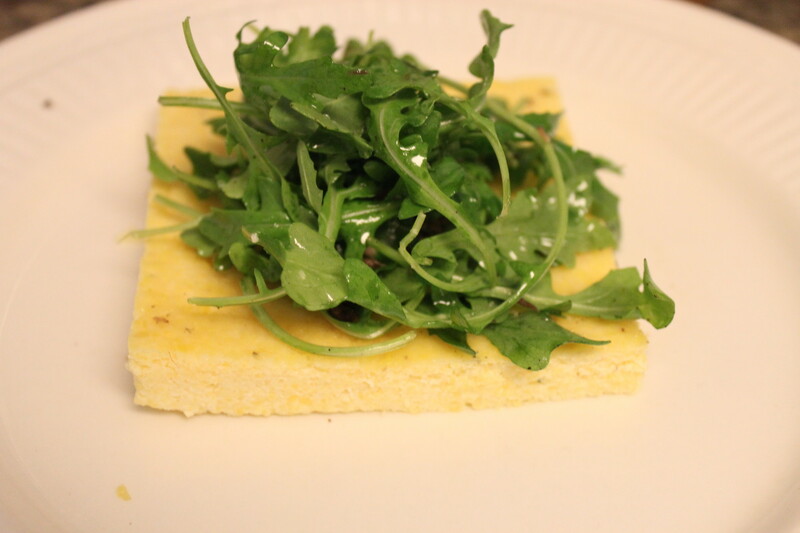 Top the polenta cake with Arugula salad and then with a desired portion of shredded meat. Top the meat with a healthy amount of sauce.